#NoBull Project – "Refuse to stand for hate and harassment." The #NoBull Project is a non-profit, all volunteer, peer-led student leadership, empowerment, and anti-bullying organization. The #NoBull Project uses current leadership, peer mentoring, restorative practices, and strength based models to engage youth of varying ages in leadership and anti-bullying programming. 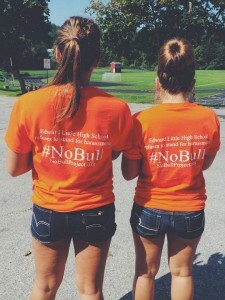 The #NoBull Project was founded in 2012 by two high school seniors. Since 2012, the #NoBull Project has engaged schools across Maine and Northern New England in varying capacities. The #NoBull Project was founded at Edward Little High School in Auburn. The two co-founders – Luke and Sam, saw a drastic uptick in online and on campus bullying and harassment and decided to do something about it. Over the years I have been amazed to see the program grow! I have seen amazing leadership from community members, schools, students, faculty and administration. I have been ecstatic to be apart of the development of similar programs at schools in Maine. As we grow as an organization, I continue to be amazed by the work that staff, volunteers, students, and schools are accomplishing on a daily basis. The #NoBull Project’s first action was an awareness building event on the Longley Bridge going from Lewiston to Auburn. 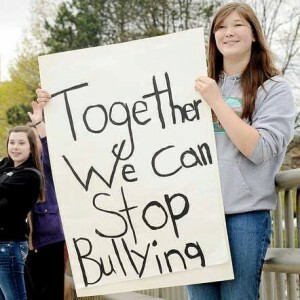 The action was to raise awareness and build capacity to help fight against the online bullying and harassment that was occurring in the Lewiston-Auburn schools. The #NoBull Project continues to grow everyday. Welcome to our website, please poke around and learn more about our programs.